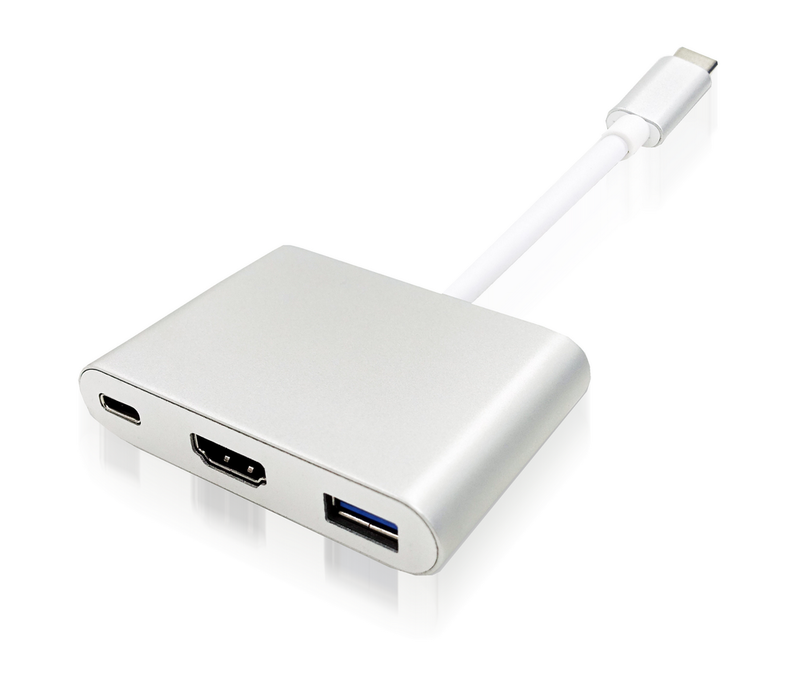 The USB Type C to HDMI/USB-A/USB-C converter can connect your MacBook or laptop with USB-C port to an HDMI display, while also connecting a standard USB device and a USB-C charging cable. 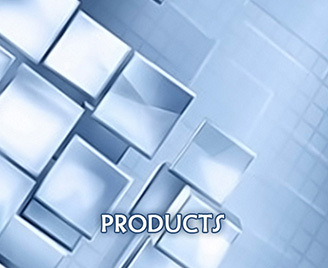 This product is easy and convenience to use and no additional software required. 1. 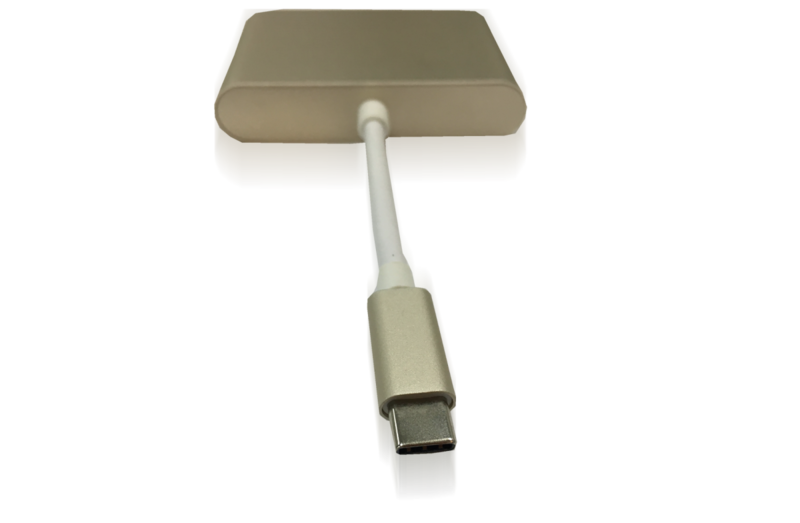 USB 3.0 Type-A output port can transfer data up to 5Gbps, allow you to connect an external keyboard, mouse, or USB flash drives. 2. 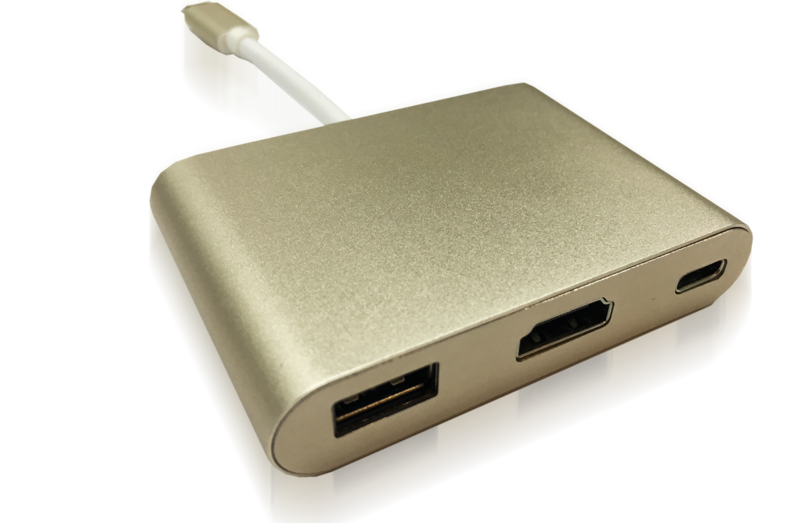 USB Type-C output port support fast charging(Charge only). 3. Support duplicate mode and extend mode. 5. 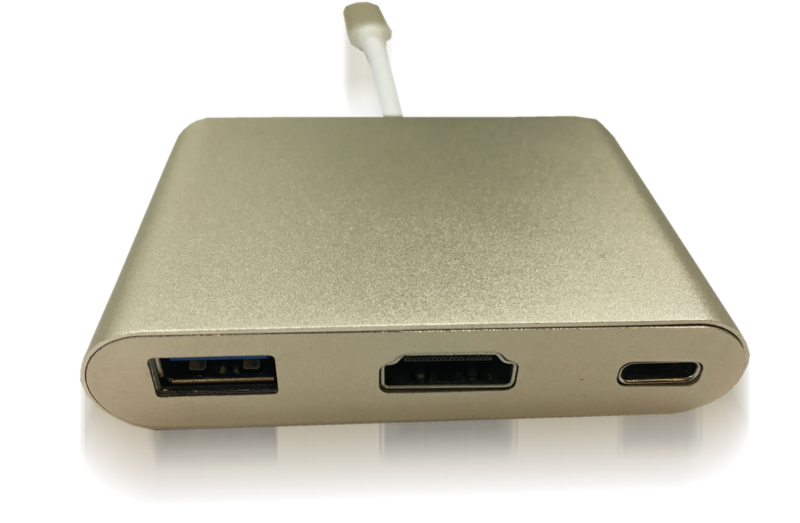 Plug & Play without software driver installation.